SURPRISE: Karthi Is A Part Of Vishal's SANDAKOZHI 2! 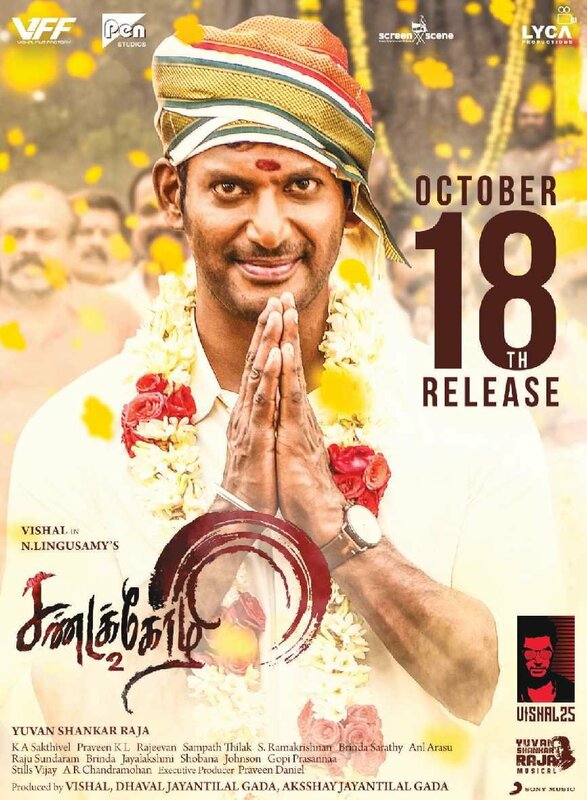 Actor Vishal ‘s 25th film Sandakozhi 2 directed by Lingusamy is all set to release on 18th October, for the long Ayudha Pooja weekend. The bookings have also begun. An exciting latest update that actor Karthi has done a voice-over in Sandakozhi 2 has been happily shared by the filmmaker in his Twitter handle. Check director Lingusamy’s original tweet here. My special & sincere thanks to @Karthi_Offl for providing the voice over to #Sandakozhi2 & for being a part of our team brother..!